There are some recipes that are very close to my heart. Either because they have a sentiment attached to them or the fact that they are super easy to put together. This recipes falls under the second category. There are no major stories behind this recipe. I came across it in my collection of Friday magazine recipe cuttings and I really wanted to try it out for its sheer simplicity. 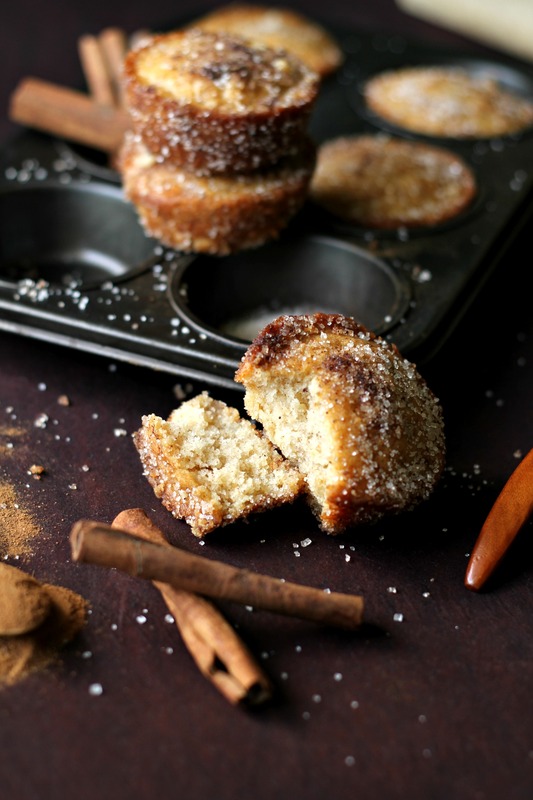 The cinnamon sugar sounded all fancy-shmancy and I thought that since my plans of making doughtnuts have been postponed indefinitely, I may as well try making the muffins. I love recipes that make my life easy. I mean, I should be able to jump out of my seat and go bake something to beat the sudden post lunch cravings. If keeping eggs out of the fridge and getting butter to room temperature is mentioned in the recipe I will most probably skip it or bookmark it for later, when I am in the mood to plan and execute it. This recipe called for melted butter and no eggs. Yipee! Just my kind of a recipe. I put the batter together in a matter of minutes and in less than 40 minutes had my kitchen smelling simply divine. 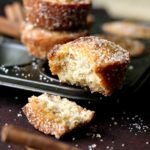 I am not a fan of cinnamon but don’t hate it either, but since the time I tried this recipe, I can’t get enough of cinnamon sugar! Without further ado, let’s dive straight into the recipe! I hope you like it. If you do, please share a picture with me. Follow & tag me on Instagram @ruchikrandhp and #ruchikrandhap! 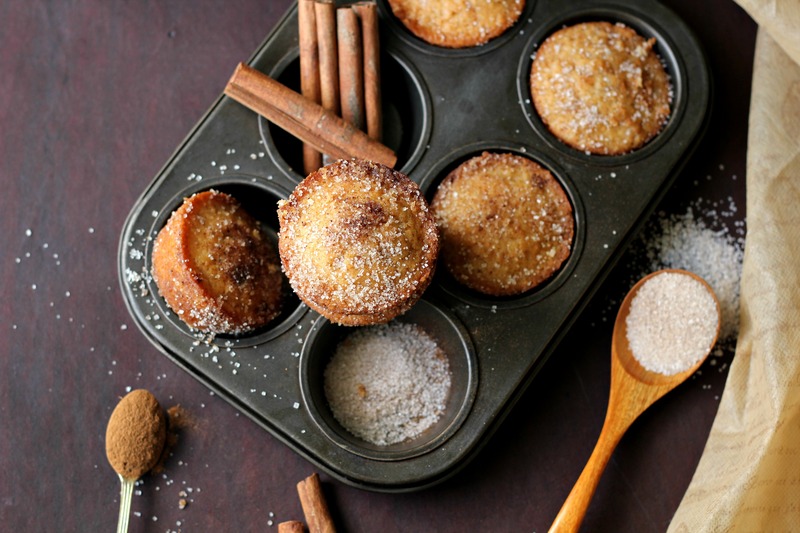 Preheat oven to 180 degrees C. Grease or line a 12 hole muffin tray with cupcake liners. In a large bowl, beat the sugar, butter and vanilla extract till smooth. Then add the milk but do not mix it yet. Sift in the flour, cinnamon powder & baking powder into the bowl of butter & sugar and mix till everything is just combined. Spoon the batter equally into the muffin tray and bake for 18-20 minutes or till the skewer inserted comes out clean. 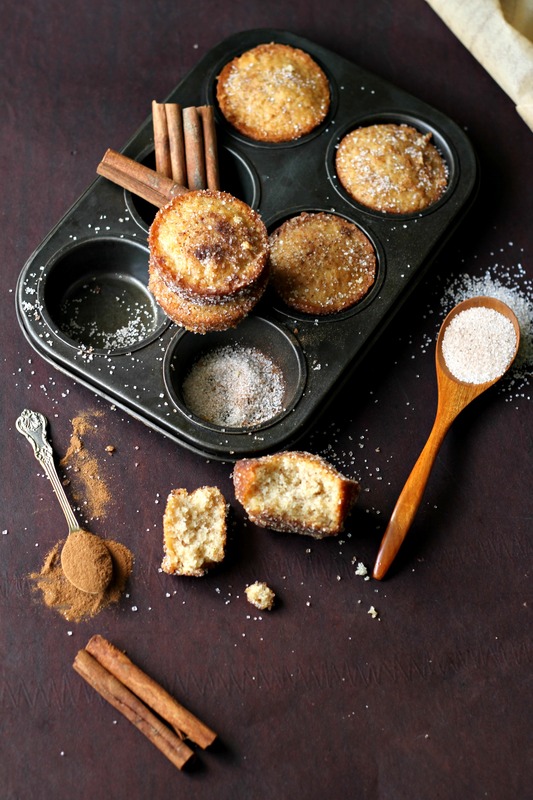 To coat the muffins, mix the sugar & cinnamon powder together in a shallow bowl or plate. 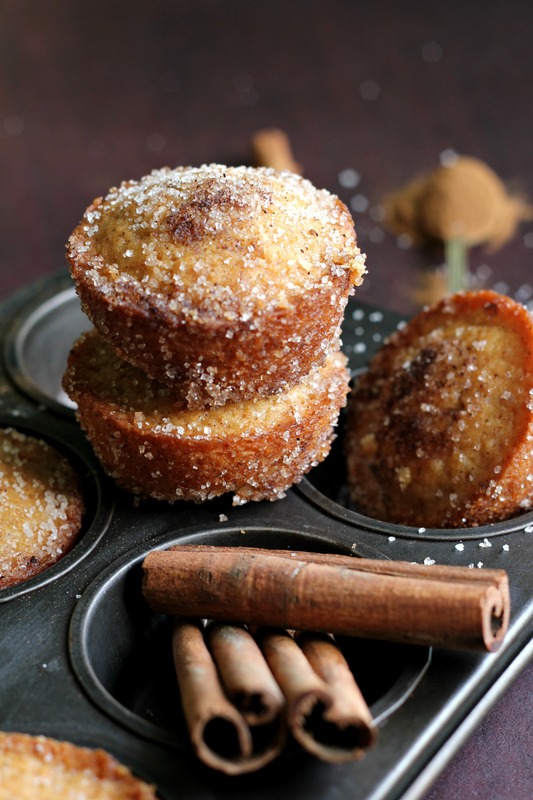 Dip each muffin into the melted butter and roll in the cinnamon sugar mixture before serving. 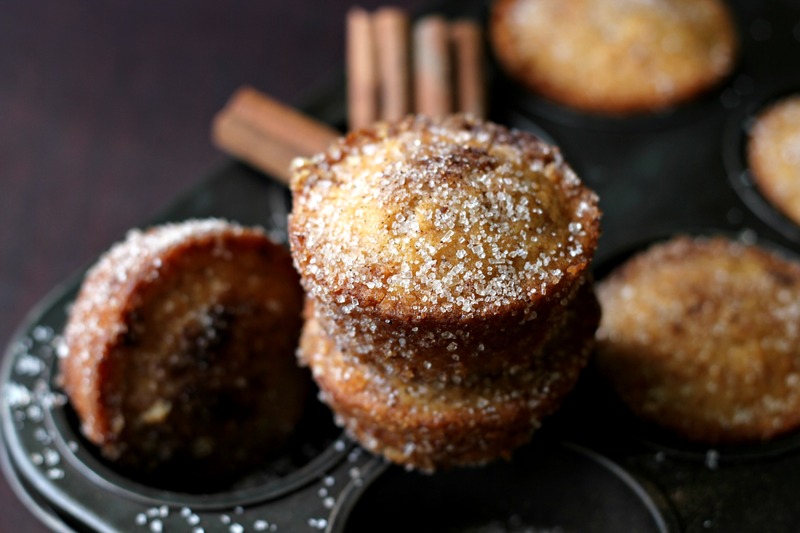 Never thought eggless muffins would have this rise. 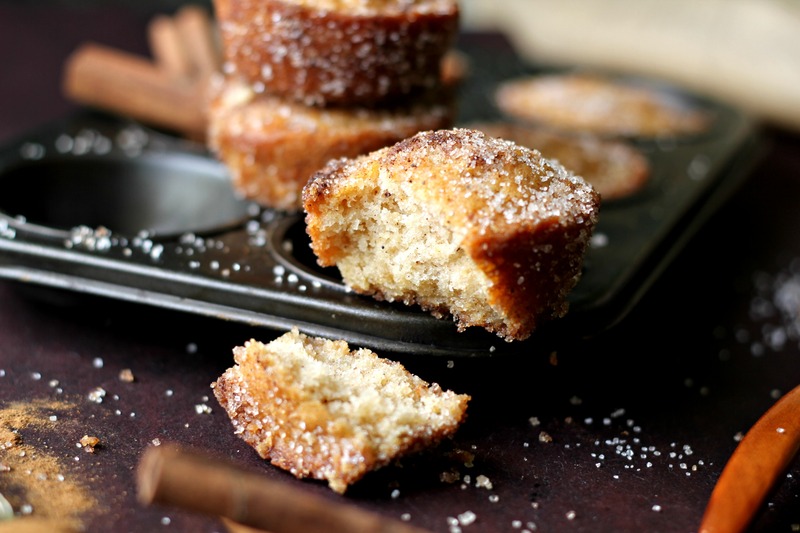 Simple and easy recipe and tasty too!!! So glad you liked them! Thanks for the feedback! It’s a nice recipe but my muffins didn’t come out well. They turned out nice and crispy on the top but when taking them out of the muffins tray they were breaking. Did you use cupcake liners? 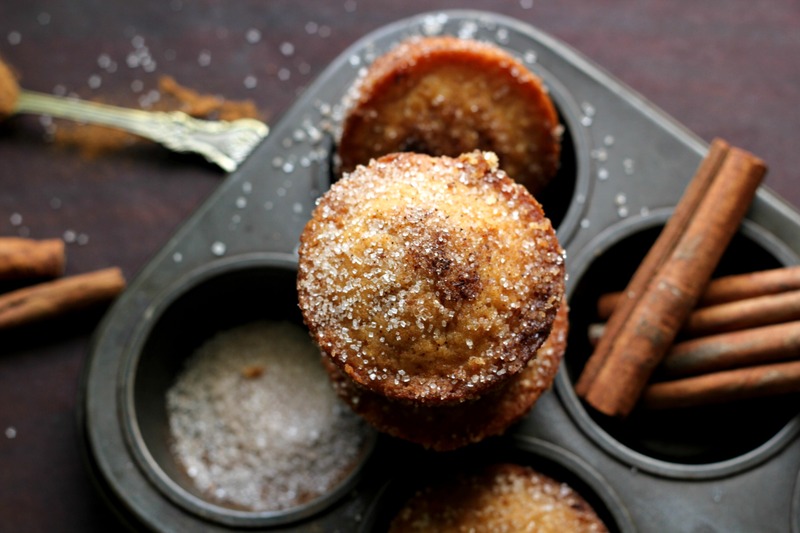 Did the muffins cool down completely before you took them out of the muffin tray? I am planning to make this. I see you have used melted butter to beat with sugar & Vanilla essence (1st step). Is it actually melted butter or soft butter at room temperature?